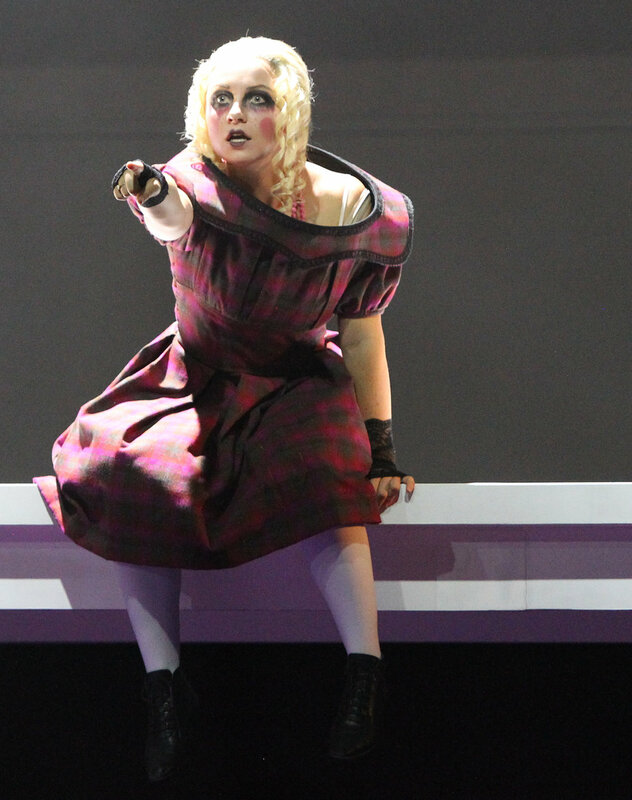 Rising young soprano Madison Leonard is a 2018 winner of the Metropolitan National Council Auditions, at which she sang arias from Rigoletto and Hänsel und Gretel with Bertrand de Billy conducting. This season, she joins Seattle Opera as Chrisann Brennan in Bates’ The [R]evolution of Steve Jobs and Frasquita in Carmen. She sings Susanna in Le nozze di Figaro in a return to Inland Northwest Opera, her hometown company. She returns to the Florida Orchestra for her first performances of Haydn’s Creation and offers a solo recital at Washington Adventist University. In the summer, she will return to Seattle Opera to Gilda in Rigoletto, which she will repeat later in the season with Austin Opera. Other future engagements include leading roles with Dallas Opera, Tulsa Opera, and North Carolina Opera. Last season, she returned to Wolf Trap Opera for two role debuts: Ilia in Idomeneo and Juliette in Roméo et Juliette in the summer following a season at Washington National Opera at which she sang the High Priestess in Aida, The Rose in Portman’s The Little Prince, Morgana in the young artist performance of Alcina, and Little Zegner Sister in Missy Mazzoli’s new opera, Proving Up as a part of the American Opera Initiative Festival, all while a member of the Domingo-Cafritz Young Artist Program. She also made her National Symphony Orchestra debut with Music Director Gianandrea Noseda conducting Stravinsky’s Pulcinella as part of the SHIFT Festival and made an immediate return soloist in Vaughan William’s Symphony No. 3 (A Pastoral Symphony) under the baton of Sir Mark Elder. Also last season, she sang her first performances of Fauré’s Requiem with the Apollo Orchestra in Washington, D.C., returned to the Florida Orchestra for Orff’s Carmina Burana, sang on a program of music from the British Isles with New York Festival of Song at Caramoor and Merkin Hall in New York City, and joined Dallas Opera for its production of Der Ring des Polykrates. Alcina at Washington National Opera. Photo by Scott Suchman. The Juniper Tree at Wolf Trap Opera. Photo by Kim Witman. Fall of the House of Usher at Wolf Trap Opera. Photo by Nika Radivilov. Four of a Kind recital with Steven Blier at Wolf Trap Opera. Photo by Kim Witman.